Spectrum/Water Witch Hose Co. #2 in New Milford held its annual dinner Jan. 11, 2019, at Candlewood Inn in Brookfield. The event included a cocktail hour, the presentation of the chiefs report, the captains report, milestone anniversary pins and the Chiefs Award, dinner and dancing. 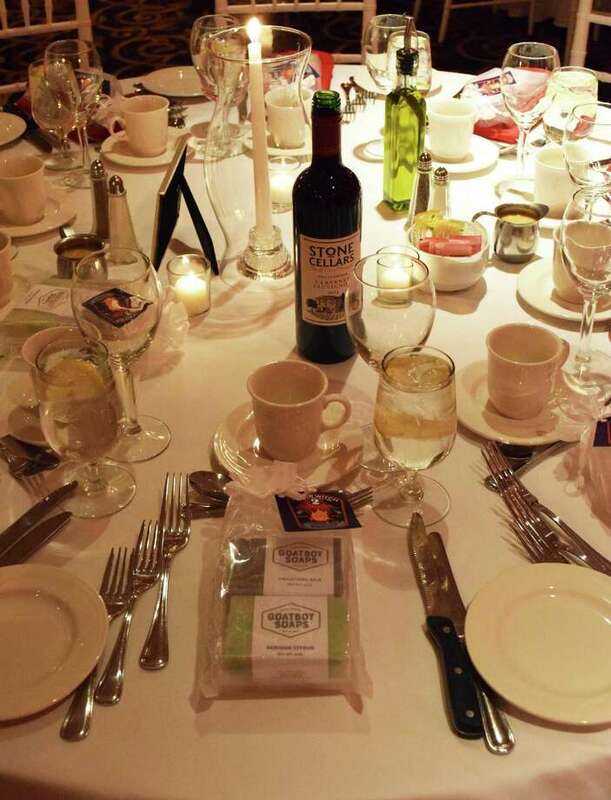 Tables were dressed throughtfully and featured a gift for each guest - Goatboy Soaps. Spirits were high last Friday night at Candlewood Inn in Brookfield, where members of Water Witch Hose Co. No. 2 in New Milford, their families and guests celebrated the fire department’s annual dinner. The dinner featured a cocktail hour, a welcome by president Bill Byrd, the presentation of the chief’s report, the captain’s report, milestone anniversary pins and the Chief’s Award, dinner and dancing. For more photographs, visit www.newmilfordspectrum.com.